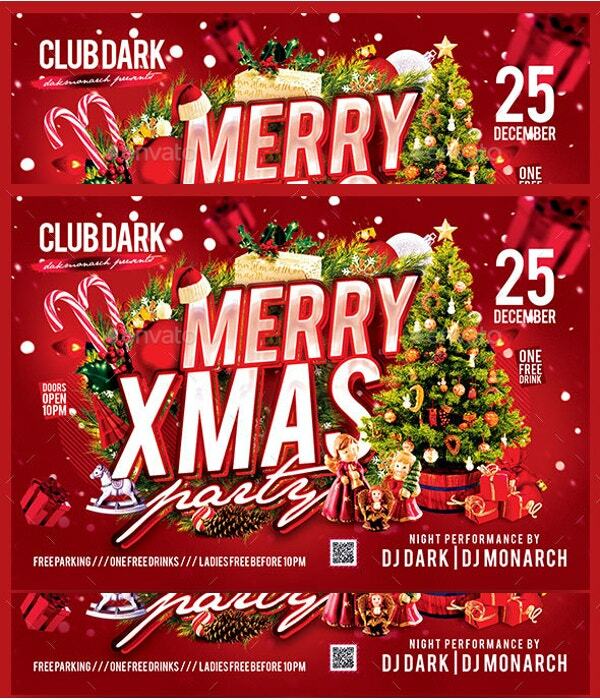 Christmas is a time of the year for you to party hard, share love, and send gifts and special party invitations. 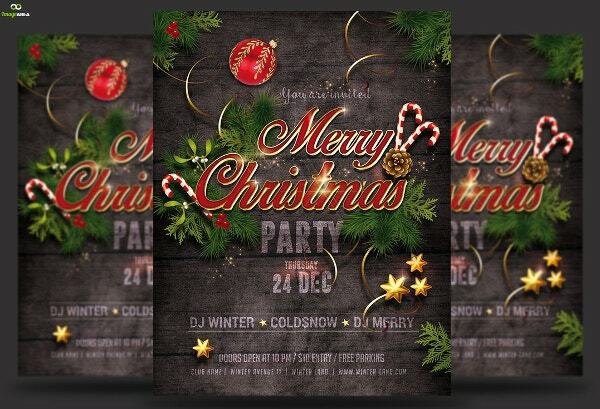 Christmas invitation templates will help you send get together invitations with the best wordings to the people you care for. 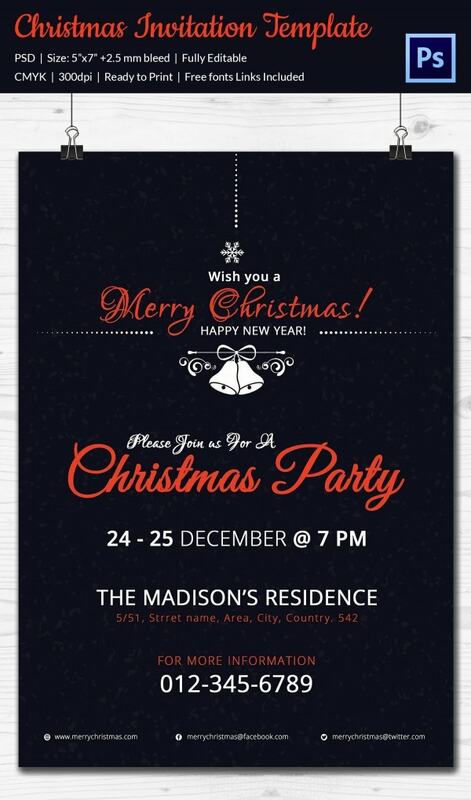 Plain text invitations are often boring and unappealing to the eyes. Custom invitation templates are just the opposite; they let you add a little bit of creativity, decorations, and pictures to your invitation. Planning a corporate party is not hard at all. 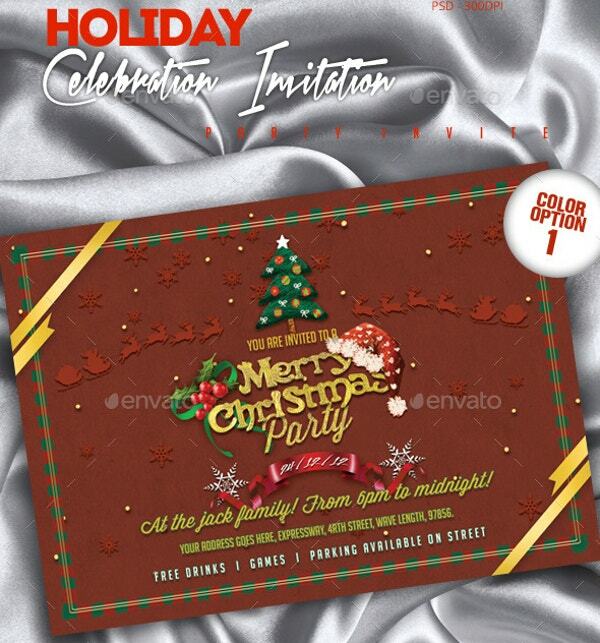 You just need to use this sample invitation template to send your invitations to the people whom you wouldn’t want to miss at the party. A perfect dinner invitation for a dozen friends works better than a meal for two. Use this invitation template to ask your friends to come over for dinner at your place or in an open, reserved restaurant. 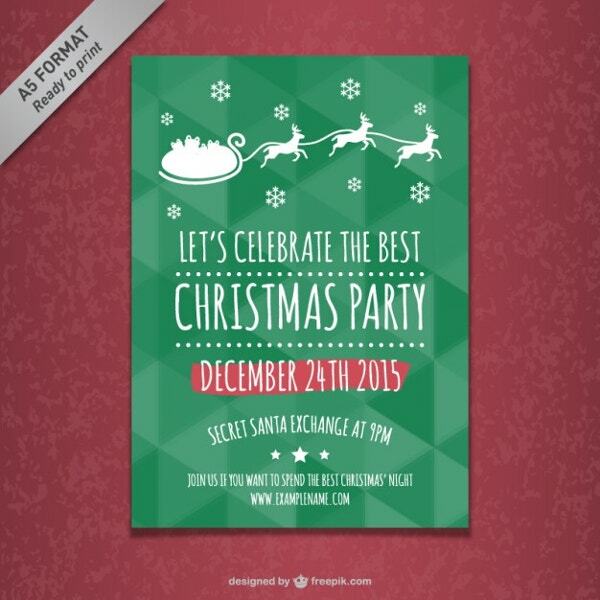 Creating a party invitation template from scratch can be somewhat challenging. 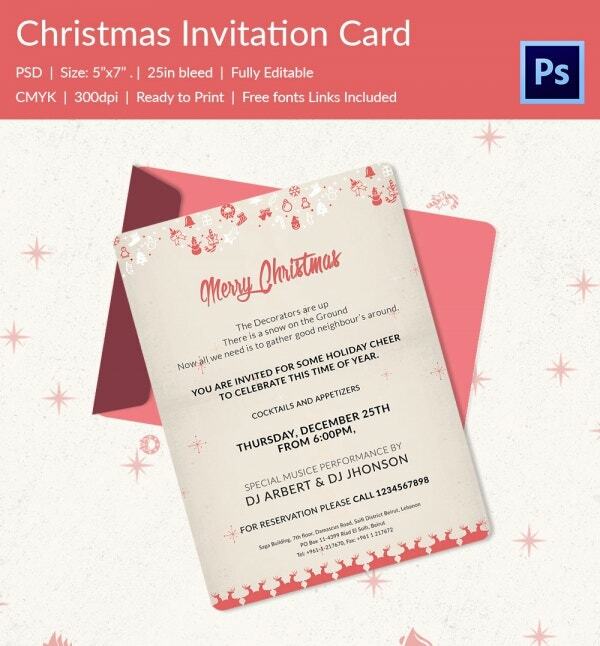 That is why you need this template to enable you to create a quick invitation without actually doing a lot of work. 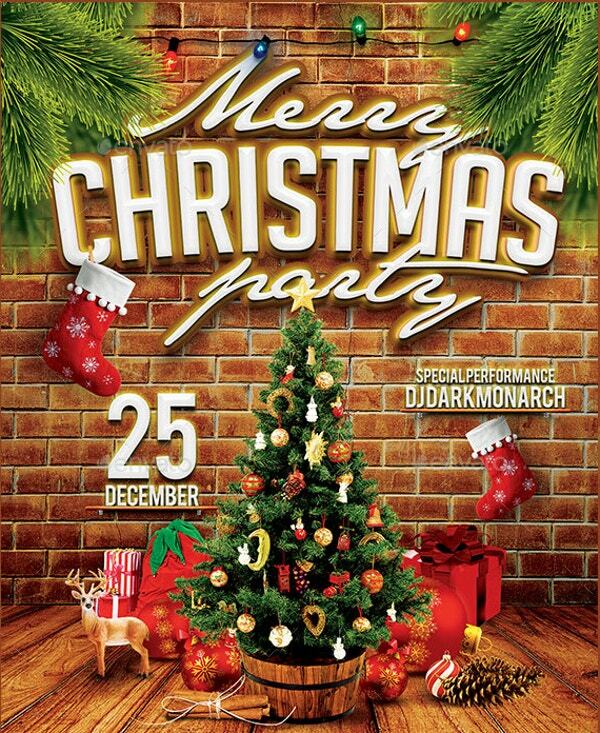 Want to catch up with a big group of friends this Christmas? 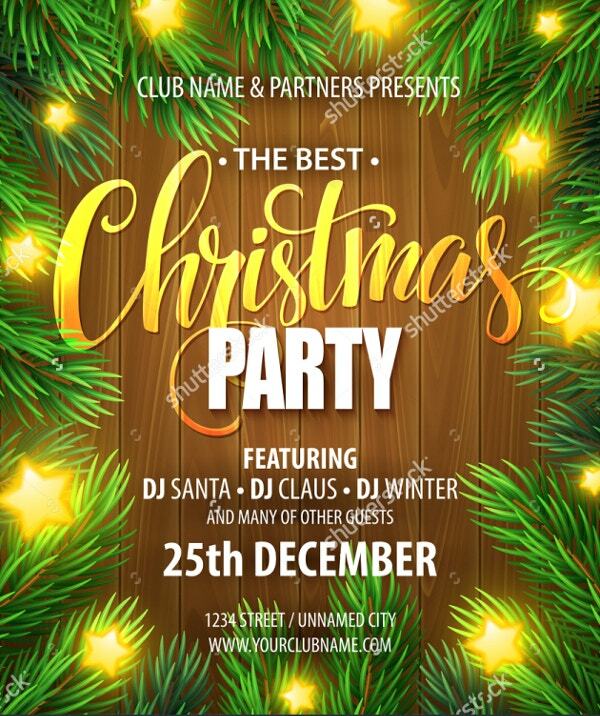 Use this sample file to create the best invitations and then distribute them among friends whom you don’t want to miss the party this year. 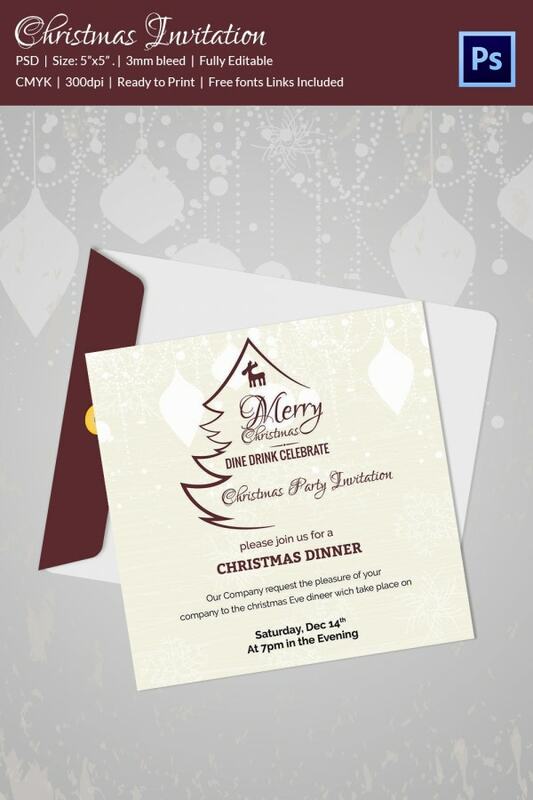 If you have an idea of a special event and would like to invite a bigger gathering, you may do so using this function invitation template for Christmas. Download the file for free. Your friends don’t want to miss drinks just like you. 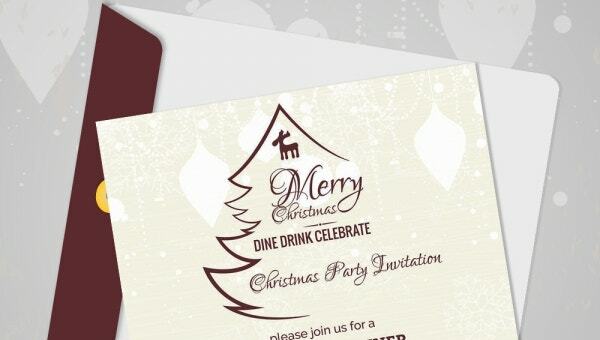 Why not use this invitation template to welcome them over for a drink this Christmas? It is easy to edit, simple to customize, and ready for print. Christmas is a time when we think about making great sales, and you can do that by sharing discount cards with your consumer base. You can use this template to create voucher aka coupon cards. Take a break from the regular routine and activate your Christmas mode. 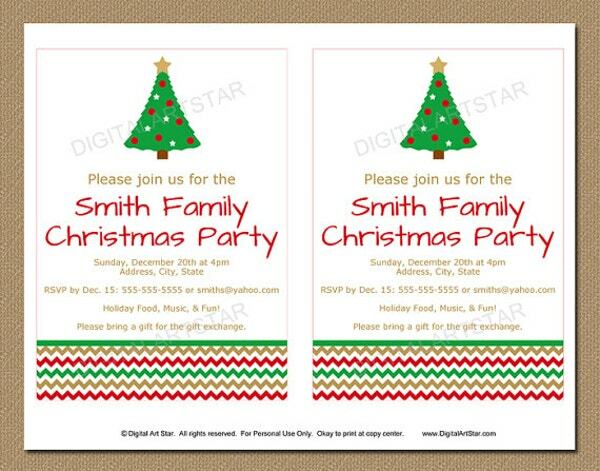 Use the invitation template to invite friends to your party and relax your mind until the beginning of next year. 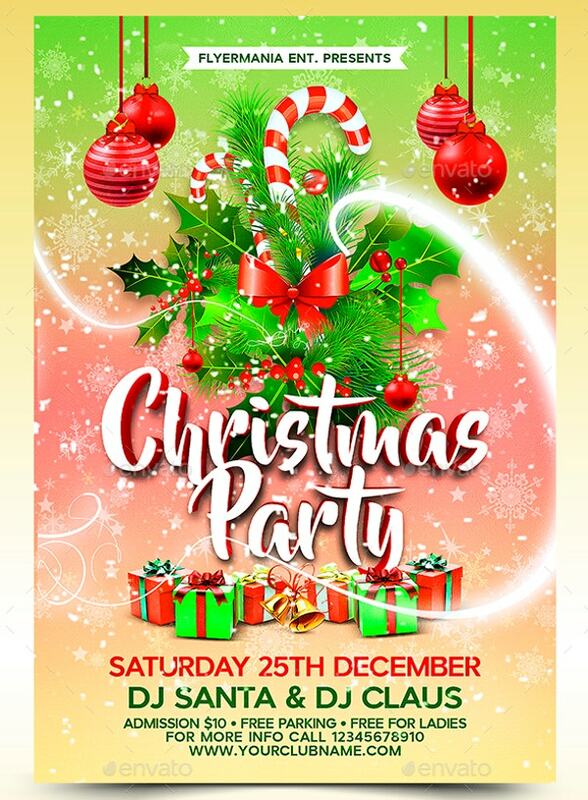 An elegant party is for families and friends who just can’t do without one on Christmas. 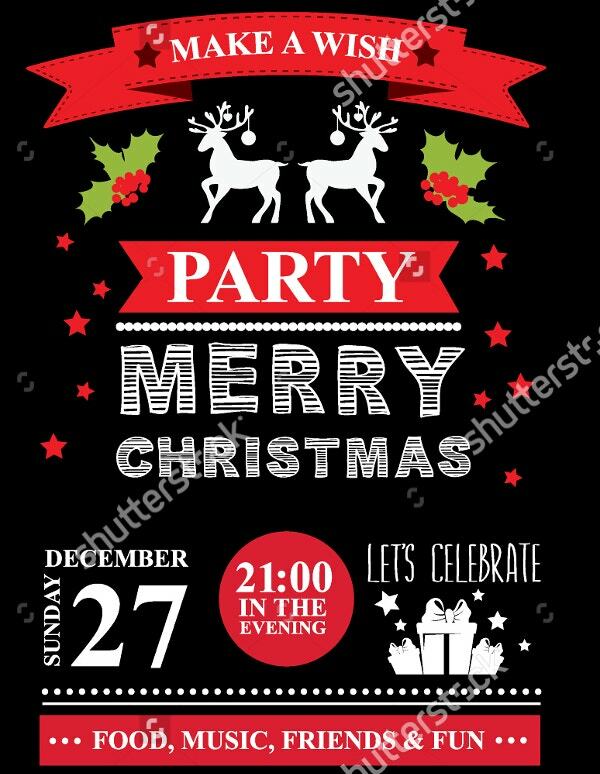 Use this sample file to create the best party invitation for friends, colleagues as well as family members. Instead of letting your employees go home this holiday without any major appreciation, consider planning a party for them and invite them over. 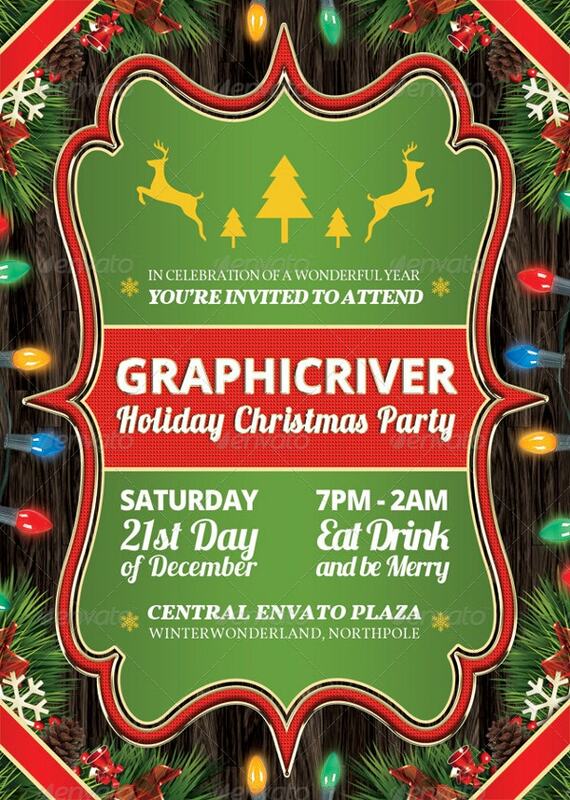 Use this template for the invitation. 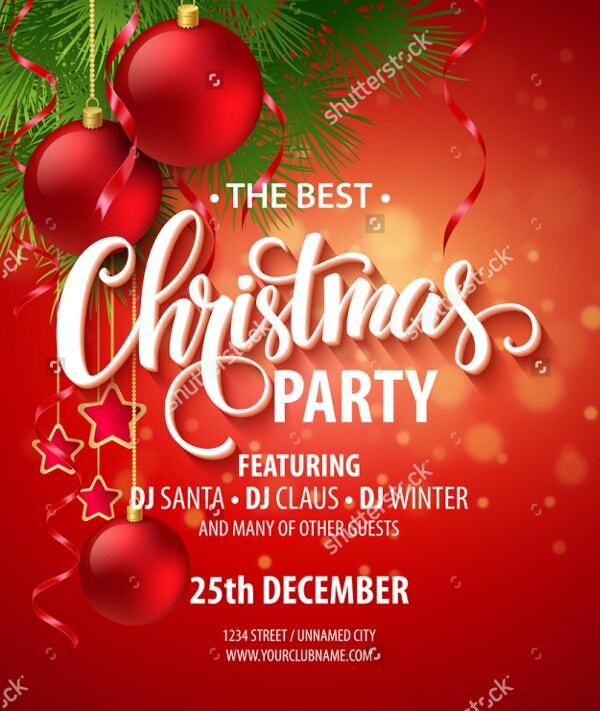 You have a greater opportunity to make a lot of money this Christmas because people do attend many events. 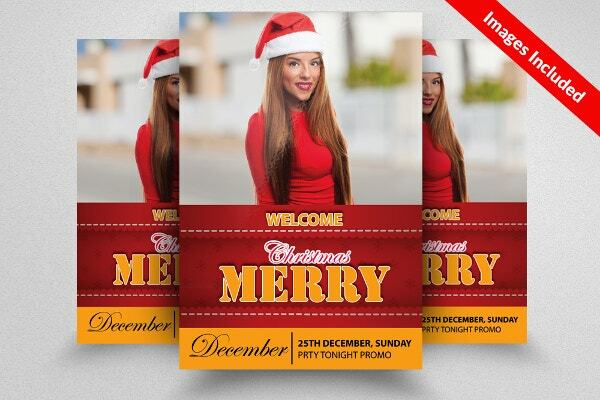 Simply use this flyer template for marketing and begin to attract consumer attention. Do you want to host an ornamental show before this year ends but are wondering how to get people to participate in it? 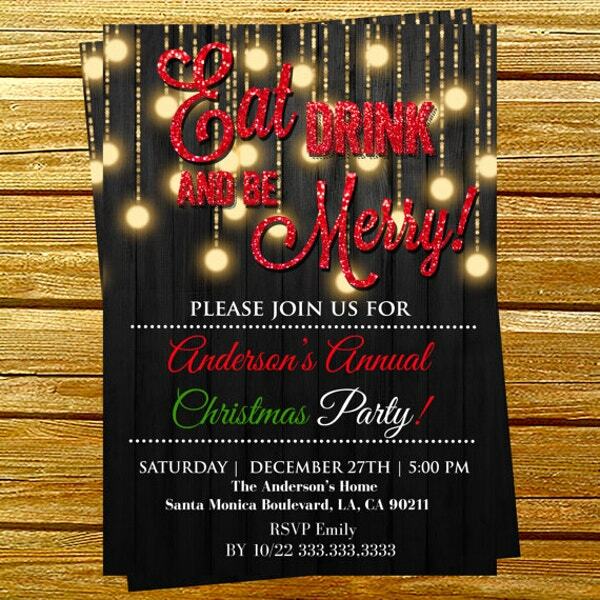 You can use the invitation flyer to invite as many people as you can. Invite friends, colleagues, and family members to come and participate in ball games this season. 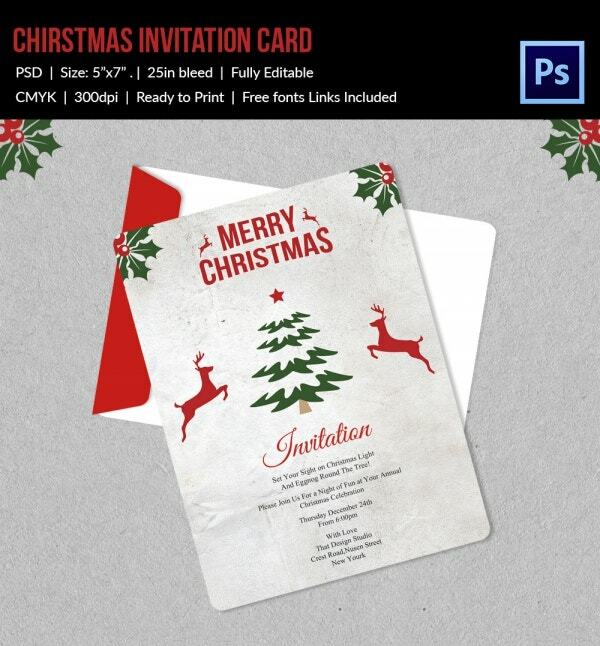 You can download one sample invitation file and make as many copies as you like for distribution. 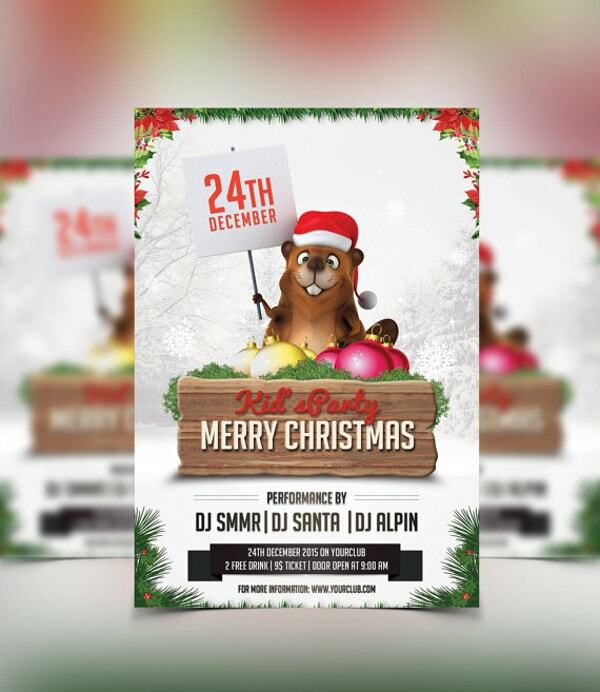 Whether you are hosting a paid or a free concert for the 2016 festive season, the sample invitation can play a great role in getting people from near and far to attend the event. Do you want to invite your kid’s little friends over to your premise this year? 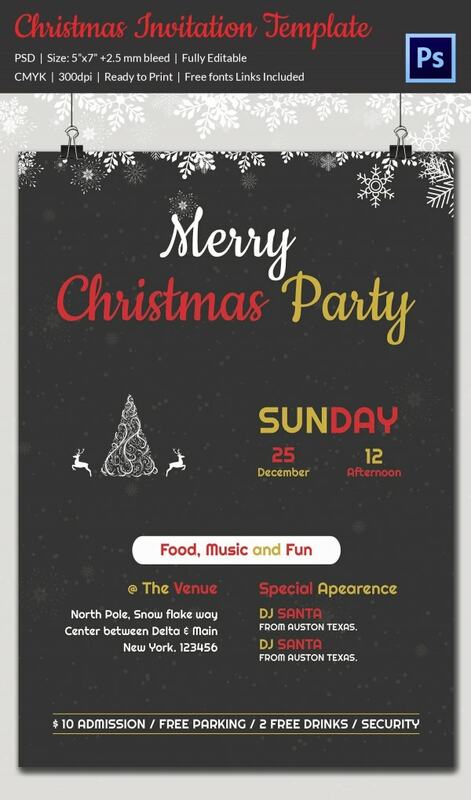 If so, the kids Christmas party invitation template will do. The sample file is print ready, easy to edit, and fully customizable. 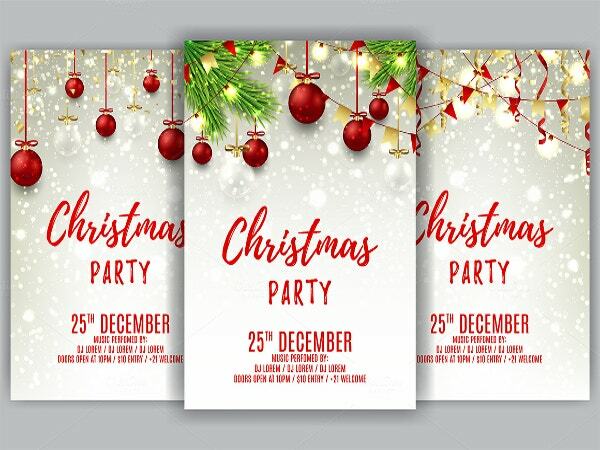 Christmas party invitation templates include the right words for the season, thus effortlessly creating a sound awareness that there will be an ongoing party in a venue designated for the Christmas celebrations. 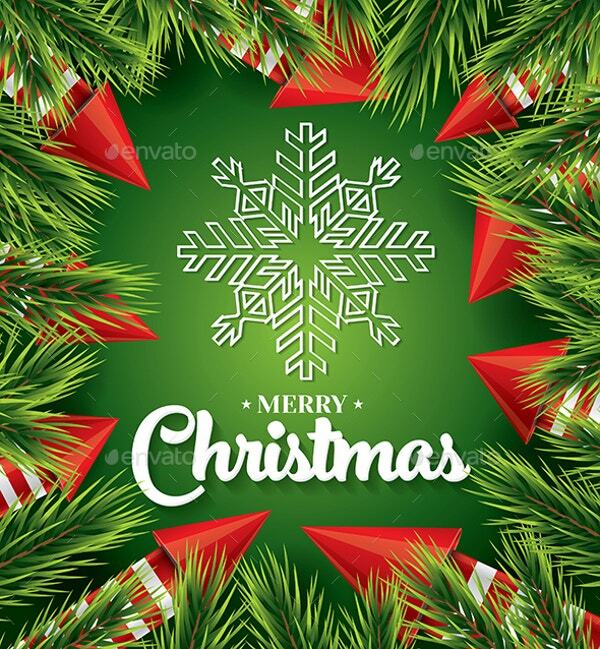 When Christmas comes, please eat and be merry; life is too short to fail partying hard on Christmas.